Can you confirm these amateur observations of Batagur kachuga? Type locality: "India"; restricted by Smith 1931:131, to "N. India." Comment Synonymy: partly after RHODIN et al. 2010. Distribution: possibly in Bhutan (Lenz 2012 and references therein). Basu, Dhruvajyoti; Andrew, Harry V.; Singh, Suresh Pal; Singh, Renu; Devi, Kundhave; Mundoli, Seema 2006. 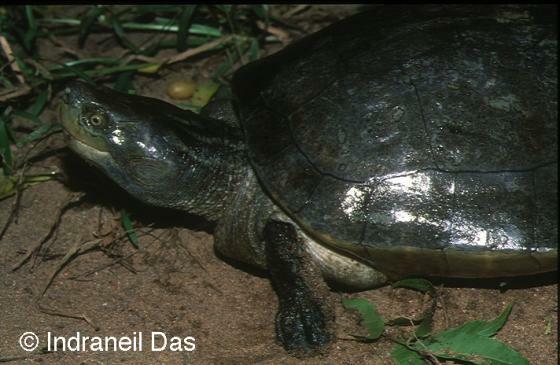 First captive breeding record of the Indian painted roofed turtle, Kachuga kachuga. Herpinstance 3(2):7-9. Lenz, Norbert 2012. Von Schmetterlingen und Donnerdrachen - Natur und Kultur in Bhutan. Karlsruher Naturhefte 4, Naturkundemuseum Karlsruhe, 124 pp. Murthy, T.S.N. 2010. The reptile fauna of India. B.R. Publishing, New Delhi, 332 pp. Sirsi, Shashwat; Shailendra Singh, Ashutosh Tripathi, Shawn F. McCracken, Michael R.J. Forstner, and Brian D. Horne 2017. 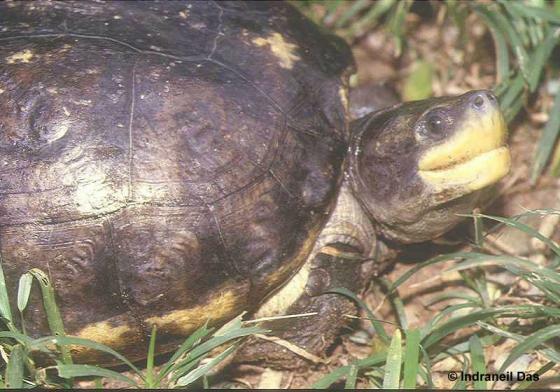 Variation in Reproductive Output of the Red-crowned Roofed Turtle (Batagur kachuga) and the Three-striped Roofed Turtle (Batagur dhongoka) in the Chambal River of North India Chelonian Conservation and Biology Dec 2017, Vol. 16, No. 2: 203-214. Smith, Malcolm A. 1931. The Fauna of British India Including Ceylon and Burma. Reptilia and Amphibia Volume I.—Loricata, Testudines. Taylor and Francis, London, 185 pp.